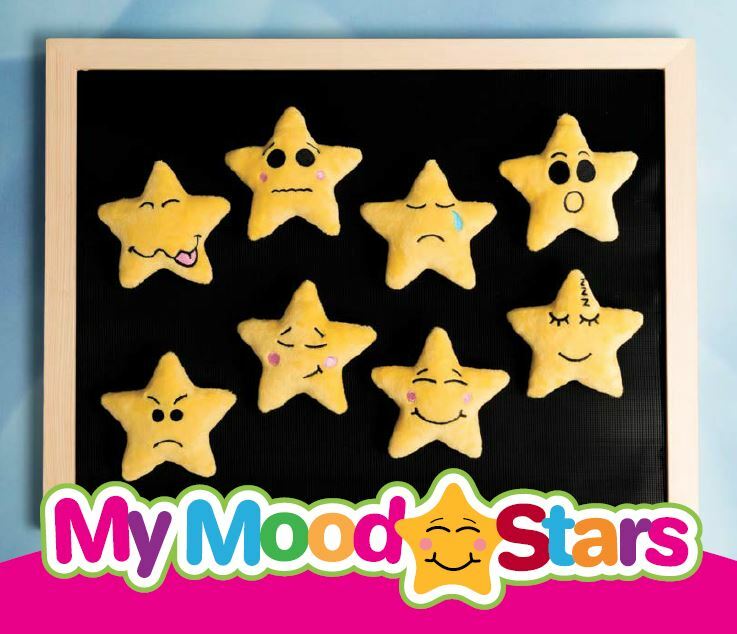 There are lots of games that you can play with your children using My Mood Stars. The most important thing is that your children are having fun and playing with the stars whether playing these particular games or not. Here I ask James to simply identify some of the My Mood Stars’ emotions and once he has picked relevant My Mood Star, ask how he knows that they are feeling that emotion. Here I give James a scenario and James choses the star that might show that particular emotion according to the scenario. Here I simply take one of the My Mood Stars off the My Mood Stars board and James has to tell me (and act out) which star is missing. Here, I choose a Mood Star and show it to James. I then act out (really badly) either the correct emotion or a false one and James has to guess whether the emotion that I’m acting out is true or false. I hope that these videos have given you some ideas of games to play with your children and the My Mood Stars.